Teeth that are clean, healthy, and well cared for require fewer fillings, experience less discoloration and have less odor causing plaque and bacteria. times daily to remove plaque, debris and bacteria. For an instructional video on brushing technique please see our video gallery. It is recommended that you floss a minimum of once per day. For an instructional video on flossing technique please see our video gallery. Frequency is dependant on your level of oral health. Your dentist or dental hygienist will let you know how often is best for you. What is plaque/ calculus (tartar)? Plaque is a biofilm that develops on the teeth and is formed by colonizing bacteria trying to attach themselves to your teeth. Plaque is best removed by brushing and flossing. Calculus is plaque that has used the minerals in your saliva to harden onto your teeth (similar to soap scum hardening on your bathtub). Calculus can only be removed by having a professional dental cleaning. Usually when you come in for a cleaning, the hygienist will start with taking the necessary x-rays, then she will begin your cleaning with scaling. When scaling, the hygienist uses instruments to remove the plaque/ tartar that has built up on your teeth. Your teeth will then be polished with a power polisher and a prophy paste to remove any left over plaque or stains and give your teeth a smooth, clean feeling! Then, a fluoride treatment may be recommended. 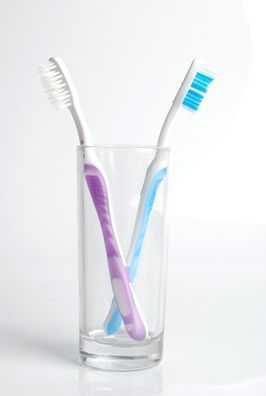 Many studies have shown fluoride to be extremely beneficial in the reduction of cavities and sensitivity. Fluoride's main function is to help strengthen the enamel by helping to remineralize areas that have become demineralized (weakened) by plaque and bacteria. Gingivitis is your body's response to bacteria (plaque) resting against, and irritating the gum tissue that supports your teeth. Your gums appear red, inflamed, and often bleed when brushing. Gingivitis is reversible, but if left untreated, gingivitis may lead to gingival recession and periodontitis. The inflammation caused by gingivitis weakens the ligaments that attach your gums to your teeth. When gingivitis is present for a prolonged period of time, the ligaments begin to detach from the teeth and a "periodontal pocket" forms. Essentially the gums are no longer attached as high on the tooth as they once were. The bone levels surrounding your teeth begin to lower in an attempt to keep 2mm of gum tissue to cover the bone. As there are deeper "periodontal pockets" more debris is caught, and bone levels decrease even further... eventually the teeth become loose and may need to be taken out. The results of periodontal deterioration are not reversible, but periodontal disease can be treated successfully.